IMAX® is still the world's best pioneer for cinema advancements. It recently announced the world's first fully integrated 65mm 4K digital large-format 3D camera. And it's got plenty more to come including higher frame rates, next-gen laser projectors and more affordable home cinema systems. We caught up with IMAX® CEO, Greg Foster and senior VP of film production, Hugh Murray to find out more. IMAX previously talked about laser projectors and cameras that could film and display, essentially, neon colours. 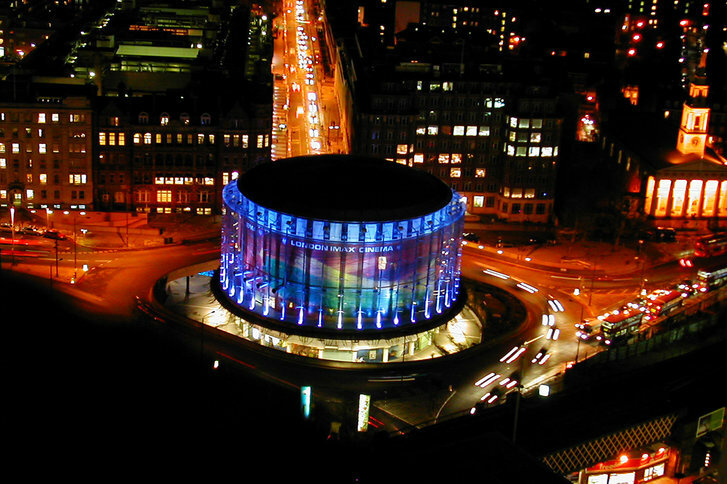 How is that technology progressing and when do you see laser projected neons in the UK? GREG: We expect to launch our first next-generation laser projection system at the end of 2014 with further roll out taking place in 2015. We have already signed more than 60 laser deals spanning North America, Europe, China, Australia and the Middle East. Two UK sites that have already signed on include the Empire Leicester Square and the Glasgow Science Centre. It's been over a year since you started installing home systems. Any plans to offer lower price set-ups for homes? Or will they always be hooked into the IMAX® management system requiring the high-end costs? GREG: Since our last conversation we have made some further movements in the home theatre market, including an agreement with Prima Cinema to offer IMAX® enhanced current theatrical releases to our home systems as well as a partnership with TCL to develop a broader premium home theatre offering. While the new system will still be targeting high net worth individuals, the price point will be lower and the system will not require as stringent room requirements as the IMAX® Private Theatre. We expect to launch the new system in China and select other global markets in 2015. To read more about IMAX's next-gen laser projectors visit Pocket-lint.